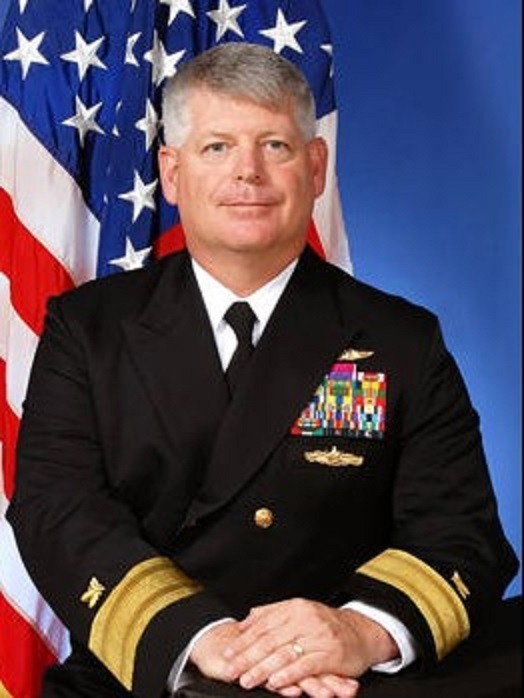 U.S. Navy Rear Admiral Robert Gilbeau pleaded guilty today in federal court to charges that he lied to federal investigators to conceal his illicit years-long relationship with Leonard Glenn Francis, owner of Glenn Defense Marine Asia (GDMA), the foreign defense contractor at the center of a massive bribery and fraud scandal. Assistant Attorney General Leslie R. Caldwell of the Justice Department’s Criminal Division, U.S. Attorney Laura E. Duffy of the Southern District of California, Acting Director Dermot O’Reilly of the Department of Defense’s (DOD) Defense Criminal Investigative Service (DCIS), Director Andrew Traver of the Naval Criminal Investigative Service (NCIS) and Director Anita Bales of Defense Contract Audit Agency (DCAA) made the announcement. Gilbeau, 55, of Burke, Virginia, pleaded guilty to one count of making a false statement. He was charged by information today and is the highest-ranking U.S. Navy officer to be charged in the investigation so far. Gilbeau is scheduled to be sentenced on Aug. 26, 2016, before U.S. District Judge Janis L. Sammartino of the Southern District of California. In his plea agreement, Gilbeau admitted that he lied when he told agents from DCIS and NCIS that he had never received any gifts from Francis, the owner of Singapore-based GDMA. Gilbeau also admitted that he lied when he told investigators that he “always paid for half of the dinner” when he and Francis met about three times a year. Gilbeau further admitted that when he became aware that Francis and others had been arrested in connection with the fraud and bribery offenses in September 2013, he destroyed documents and deleted computer files. Francis previously pleaded guilty to plying scores of other U.S. Navy officials with gifts such as luxury travel, meals, cash, electronics, parties and prostitutes. According to his plea, in 2003 and 2004, Gilbeau was the supply officer on the USS Nimitz, where he was responsible for procuring all goods and services necessary for operation of the ship. He later served as head of the Tsunami Relief Crisis Action Team in Singapore, heading the Navy’s logistics response to the Southeast Asia tsunami in December 2004, and in June 2005, Gilbeau was assigned to the office of the Chief of Naval Operations as the head of aviation material support, establishing policies and requirements for budgeting and acquisitions for the Navy’s air forces, according to the plea agreement. In August 2010, after he was promoted to admiral, Gilbeau assumed command of the Defense Contract Management Agency International, where he was responsible for the global administration of DOD’s most critical contracts performed outside the United States, according to admissions made in connection with his plea. Including Gilbeau, 14 individuals have been charged in connection with this scheme; of those, nine have pleaded guilty, including U.S. Navy Captain (Select) Michael Misiewicz, U.S. Navy Capt. Daniel Dusek, Lieutenant Commander Todd Malaki, NCIS Special Agent John Beliveau, Commander Jose Luis Sanchez and U.S. Navy Petty Officer First Class Dan Layug. Former Department of Defense Senior Executive Paul Simpkins awaits trial. On Jan. 21, 2016, Layug was sentenced to 27 months in prison and a $15,000 fine; on Jan. 29, 2016, Malaki was sentenced to 40 months in prison and to pay $15,000 in restitution to the Navy and a $15,000 fine; on March 18, 2016, Alex Wisidagama, a former GDMA employee, was sentenced to 63 months and to pay $34.8 million in restitution to the Navy; on March 25, 2016, Dusek was sentenced to 46 months in prison and to pay $30,000 in restitution to the Navy and a $70,000 fine; and on April 29, 2016, Misiewicz was sentenced to 78 months in prison and to pay a fine of $100,000 and to forfeit $95,000 in proceeds for the scheme. Retired Navy Captain Michael Brooks, Commander Bobby Pitts and Lieutenant Commander Gentry Debord were charged by a federal grand jury on May 25, 2016, and their cases remain pending. GDMA, the corporate entity, was also charged and has pleaded guilty. Francis and Ed Aruffo, a former GDMA employee, have both pleaded guilty and await sentencing. NCIS, DCIS and DCAA are conducting the investigation. Assistant Chief Brian R. Young of the Criminal Division’s Fraud Section and Assistant U.S. Attorneys Mark W. Pletcher and Patrick Hovakimian of the Southern District of California are prosecuting the case. Those with information relating to fraud, corruption or waste in government contracting should contact the NCIS anonymous tip line at www.ncis.navy.mil or the DOD Hotline at www.dodig.mil/hotline, or call (800) 424-9098.